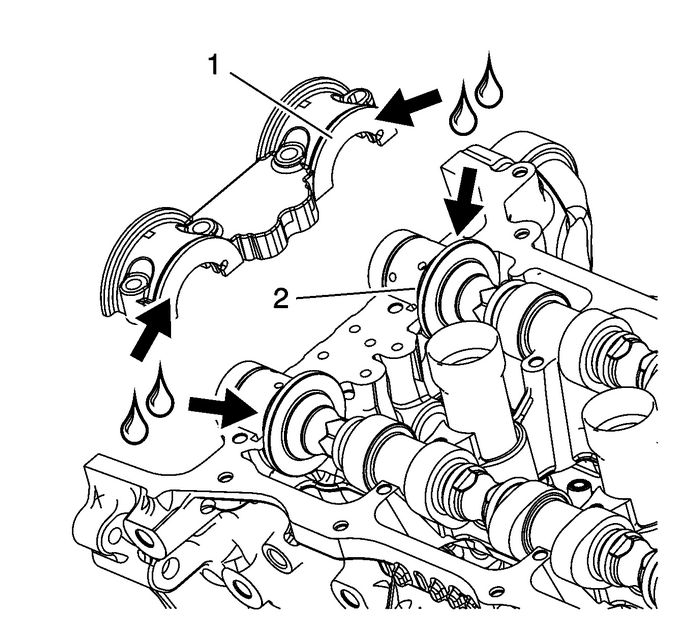 Removal ProcedureRemove the camshaft position actuators. 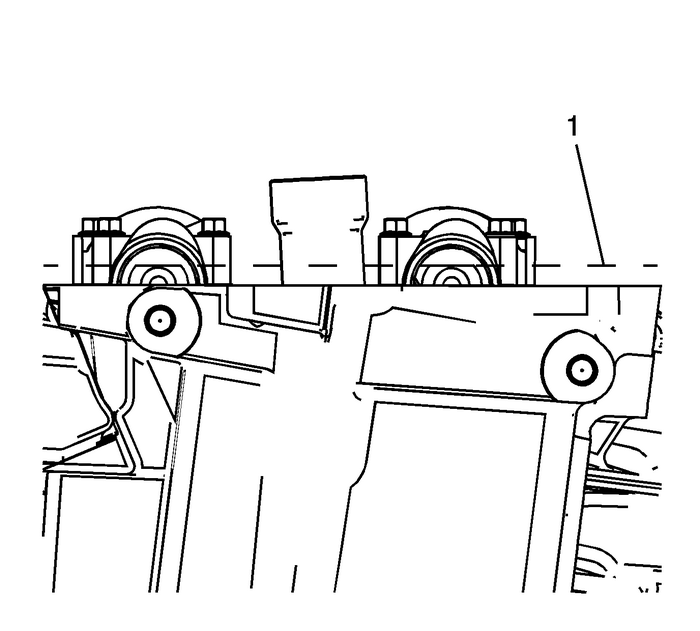 Refer toCamshaft Position Actuator Replacement - Bank 1. 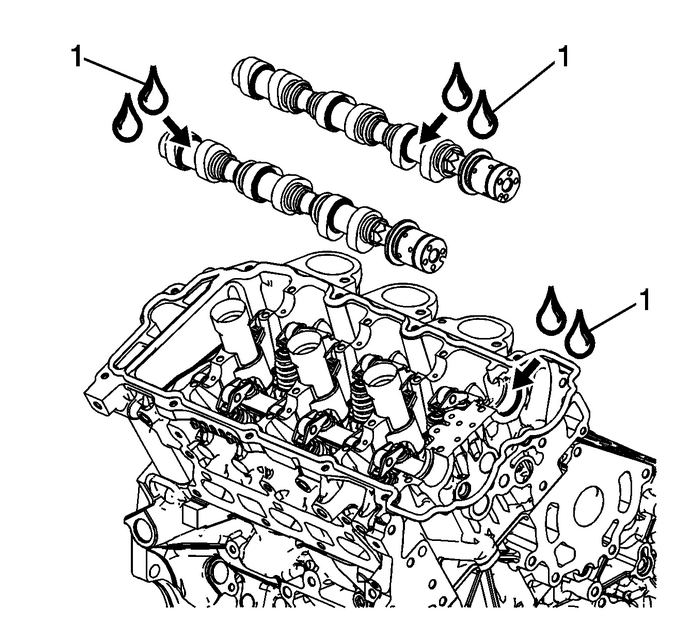 Apply a liberal amount of lubricant-(1) to the camshaft journals and the right cylinderhead camshaft carriers. Refer toAdhesives, Fluids, Lubricants, and Sealersfor recommended lubricant. 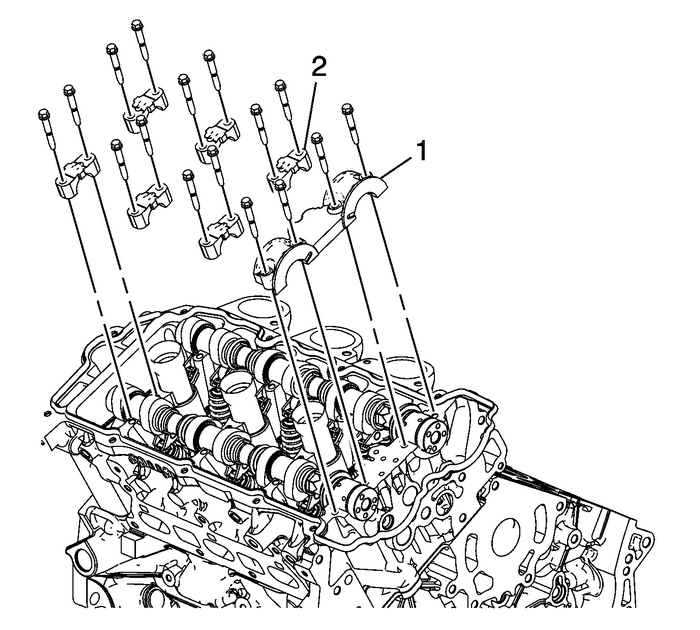 Place the right intake-(1) and right exhaust-(2) camshafts in position in the rightcylinder head-(3). 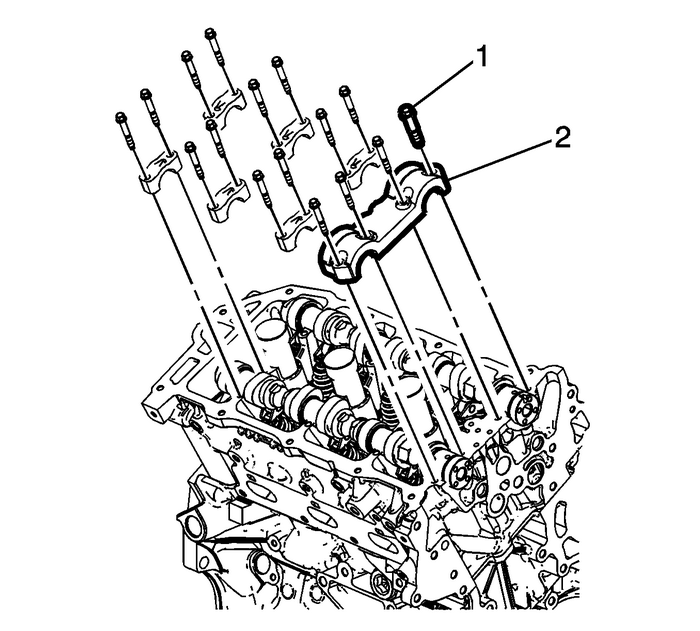 Position the camshaft lobes in a neutral position with the flats on the back of thecamshafts up and parallel-(1) with the right cylinder head camshaft cover rail. 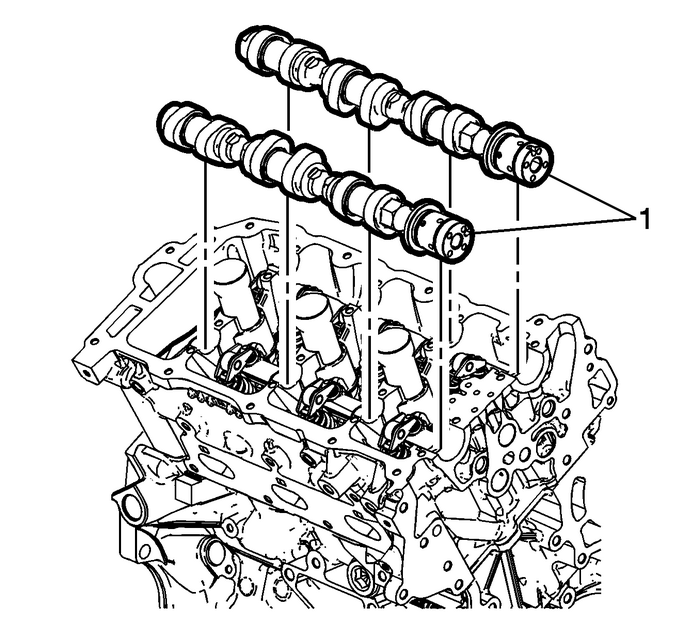 Observe the markings on the right cylinder head camshaft bearing caps. 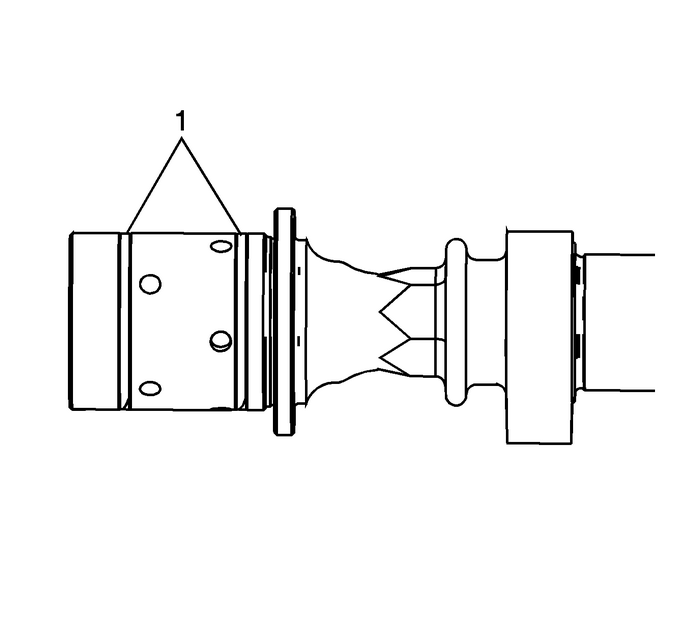 Each bearingcap is marked in order to identify its location. 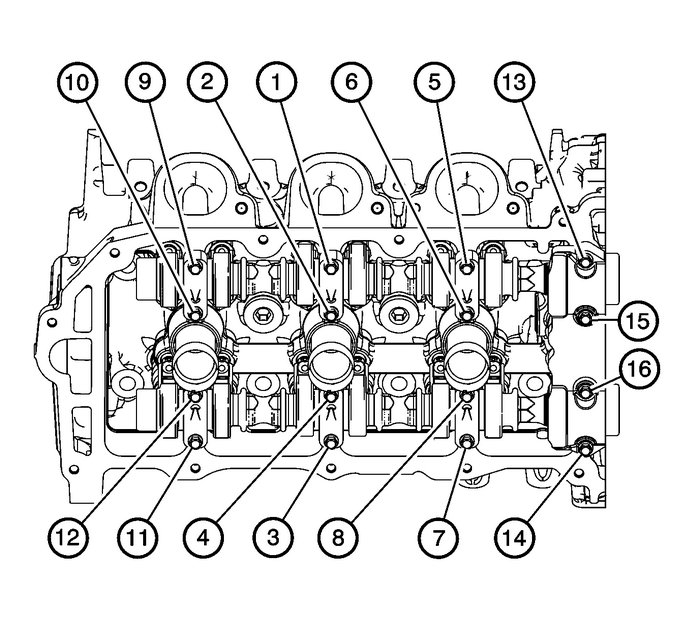 The markings have the following meanings:The raised feature-(1) must always be oriented toward the center of the cylinder head.The I indicates the intake camshaft.The E indicates the exhaust camshaft.The number 1, 3, 5 indicates the cylinder position from the front of the engine.Apply a liberal amount of lubricant to the camshaft bearing caps. Refer toAdhesives, Fluids, Lubricants, and Sealersfor recommended lubricant. 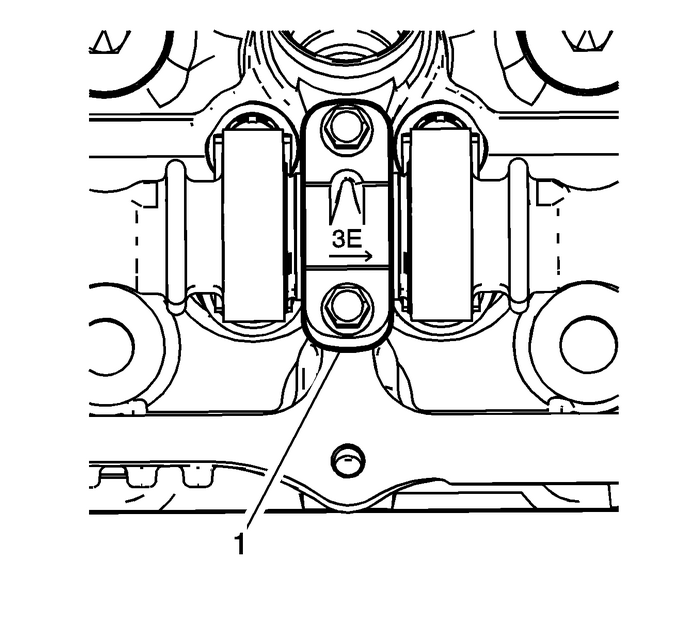 Install the camshaft bearing thrust caps-(1) in the first journal of the right cylinderhead.Install the remaining bearing caps-(2) with their orientation mark toward the centerof the cylinder head.Hand start all the camshaft bearing cap bolts. 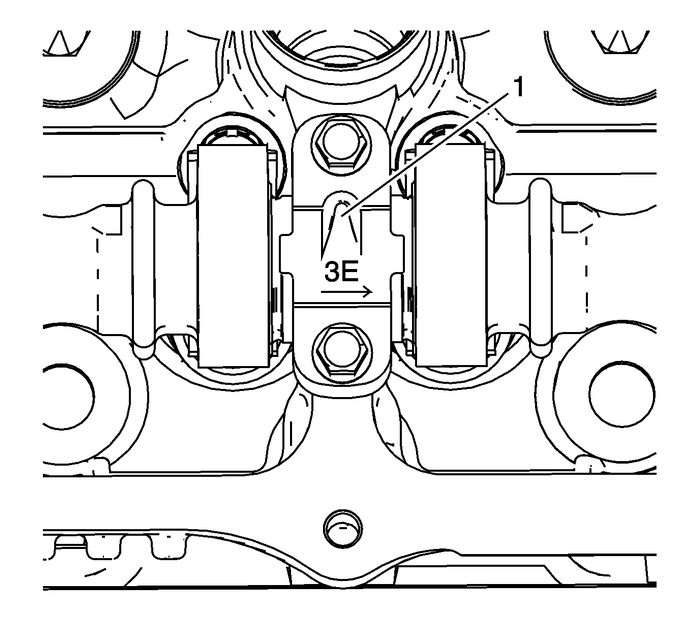 Tighten the camshaft bearing cap bolts in the sequence shown and tighten to 10-Y (89-lb-in).Loosen the center intake camshaft bearing cap bolts-(1, 2) and the center exhaustcamshaft bearing cap bolts-(3, 4).Retighten the center camshaft bearing cap bolts-(1, 2, 3, 4) and retighten the camshaftbearing cap bolts to 10-Y (89-lb-in).Install the camshaft position actuators. 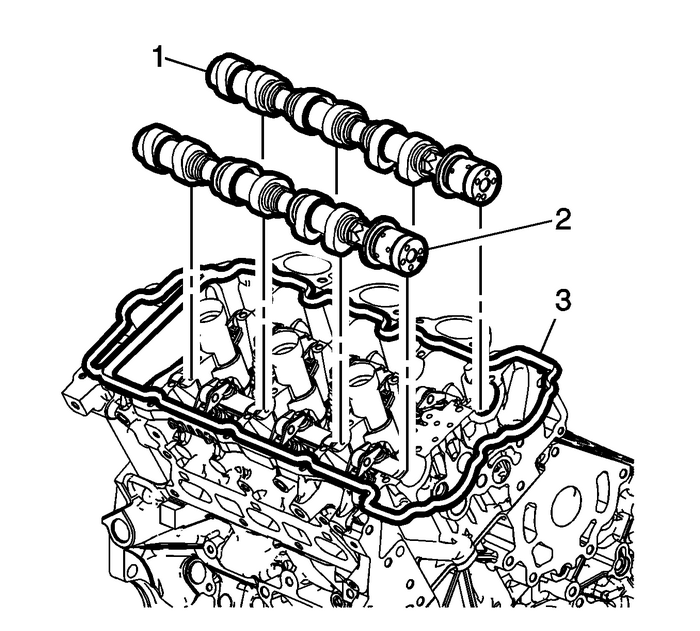 Refer toCamshaft Position Actuator Replacement - Bank 1.